AC Milan have reportedly reached an agreement with Zlatan Ibrahimovic to secure his return to the club in the January transfer window. 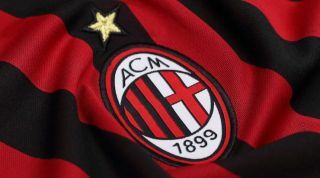 The 37-year-old enjoyed a fine first spell with the Rossoneri between 2010 and 2012, scoring 56 goals in 85 games while winning a Serie A title. As noted by Calciomercato, the Swedish icon has never made a secret of the fact that he didn’t want to leave the San Siro ahead of his move to Paris Saint-Germain in 2012, and it appears as though he will secure a second stint with the Italian giants in the New Year. According to Goal Spain, an agreement has been reached between the two parties over a return in January, albeit no details are mentioned of whether or not it is merely a short-term loan deal or if he will join from LA Galaxy permanently. Either way, he will be a huge addition for Milan in their pursuit of Champions League qualification in the second half of this season, as they currently sit in fourth place in Serie A after 14 games and will continue to battle the likes of Lazio for a top-four finish. Coach Gennaro Gattuso has lacked firepower this season given he has had to rely on Gonzalo Higuain and Patrick Cutrone across all competitions, with the pair sometimes even playing together in a 4-4-2 which leaves little on the bench to change a game. Adding Ibrahimovic will not only bring experience, leadership and quality to the squad, but as proven in his spell in MLS, he has plenty left in the tank even at this late stage of his career and if he does now secure a return to Milan, he’ll hope to show that he’s still capable of producing the goods in Europe.